As everyone in the Architecture and Design world knows, swag and give-aways are fool-proof ways to catch your market’s eye. But what would happen if the give-away was also a give-back? This was a question izzy+ started asking a year ago as we made plans for our annual Valentine’s Day promotion, which introduces a new izzy+ product to nearly 5,000 interior designers each February. Sure, the event should include colorful izzy+ bags and custom-made chocolates (it is Valentine’s Day, after all), but what if instead of doing a drawing for something flashy, like plane tickets to anywhere in the world or the newest Apple gear, we gave away something that would support our corporate values around giving back? 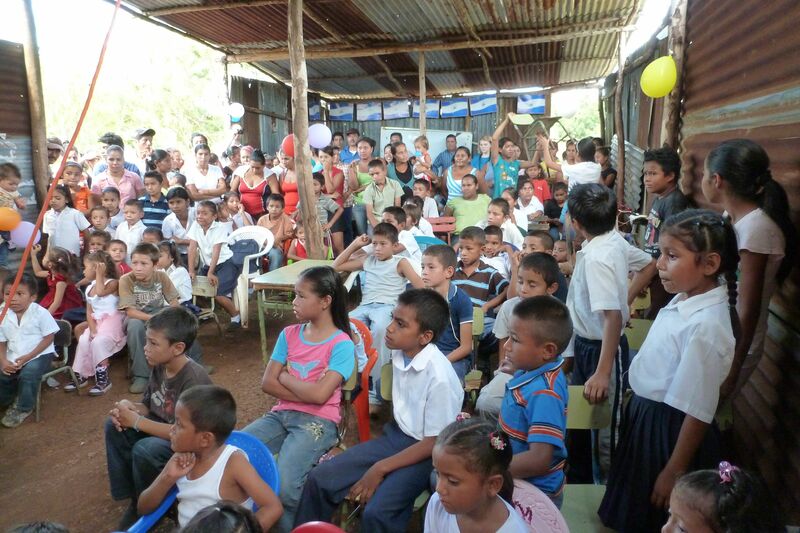 So, during February of 2012, members of the interior design community were given not just chocolate and other goodies, but also a chance to go on an izzy+-sponsored trip to Nicaragua. Over 1,700 designers indicated interest in the promotion, 80 of whom later followed up by filling out a questionnaire about themselves and their interest in the trip. 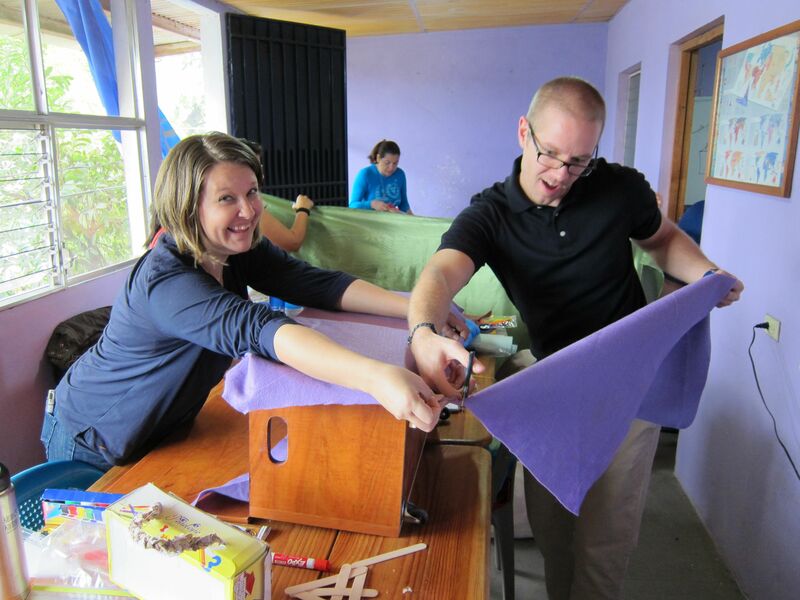 On November 1, six interior designers from around the U.S. flew to Nicaragua, joining Brandon and Jill Horning of the izzy+ team, along with two members of the Grand Valley State University Applied Global Innovation Initiative, which played a key role in planning and laying the groundwork for the trip. 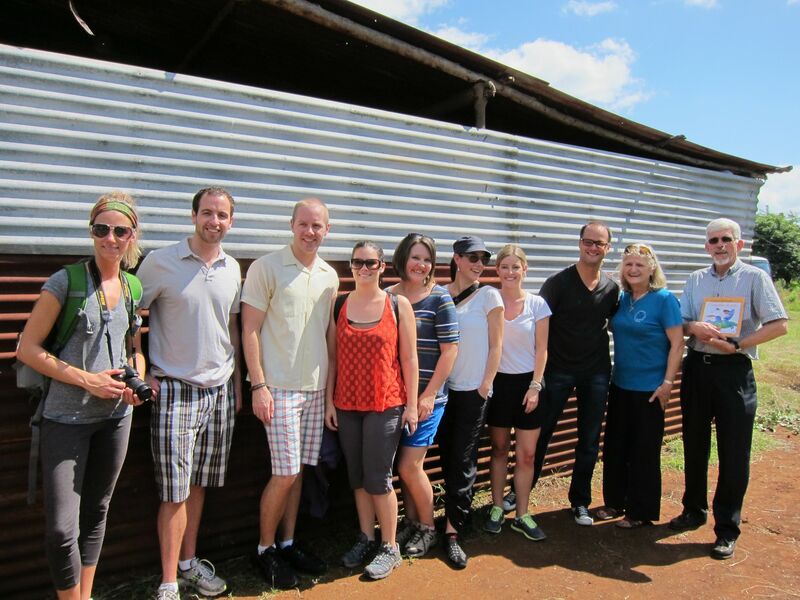 The group just returned from their giving-back adventure on November 6. The main goal in Nicaragua, Brandon says, was helping a group of teachers in the North Central town of Esteli design and build learning toolkits for young students. The izzy+ group had to think through the interior and exterior designs of the kits and how the curriculum could best be organized. The available resources for most teachers in Nicaragua are so limited, Brandon adds, saying that many schools are little more than metal shacks with dirt floors. Students often have to bring their own chairs from home. The izzy+ group also contributed to the design of a building that is being converted into a new learning center in Esteli. Leveraging the skills of the designers, Brandon says they reviewed architects’ construction plans then focused on providing recommendations for one aspect of the interior—creating an entrance that would be welcoming and inspiring. In addition to the design work they did, the izzy+ group toured other schools, visited local markets and a sustainable coffee farming community, experienced cultural traditions like the holiday known as Day of the Saints, and shared meals with many local business people, leaders, teachers and university administrators. And the positive effects of this trip will continue to ripple out—not only for the communities in Nicaragua the izzy+ team visited, but also for the designers back home. As far as izzy+ is concerned, these types of giving-back trips are definitely a part of the company’s future.